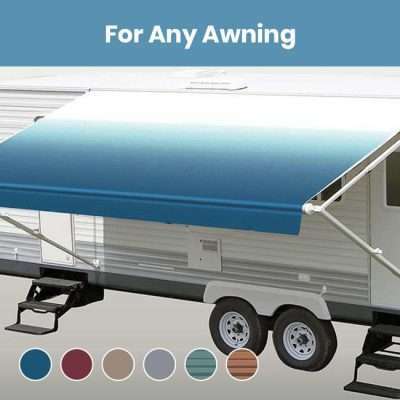 See our selection of 16 ft RV Awning Replacement Fabrics. 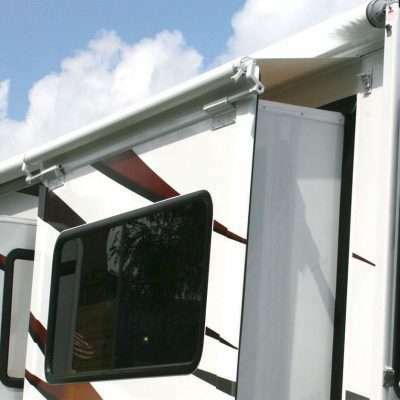 We have replacement fabric that fit all sizes of RV awnings. We make our awning replacements from 15 oz vinyl with a 16 oz white vinyl weather guard. The tensile strength of the material is 140 lbs per square inch. The canopy comes completely finished with hemmed edges and cord sewed in, along with a new Pull Strap. The combination of these aspects equals the strongest fabric on the market with an appearance that matches.